UCSB's designation as a top bike-friendly university, and a top bike-friendly community, were among the plaudits cited in its new ranking as the nation's No. 3 Green School. Online Schools Center, a web resource for prospective students researching universities, assembled its composite ranking by using several criteria. It sorted for institutions that have been included, in the last two years, in prestigious green ratings by Princeton Review, the Sierra Club, U.S. News & World Report and the Environmental Protection Agency. In addition, it required schools cited to have attained gold or silver designations from the Association for Advancing Sustainability in Higher Education, and filtered for institutions with a wealth of ongoing or pending green initiatives. Landing in the third position in the Online Schools Center roundup, behind American University in Washington D.C. and Pennsylvania’s Dickinson College, UCSB is the top-ranked public school nationwide and first among all University of California campuses. 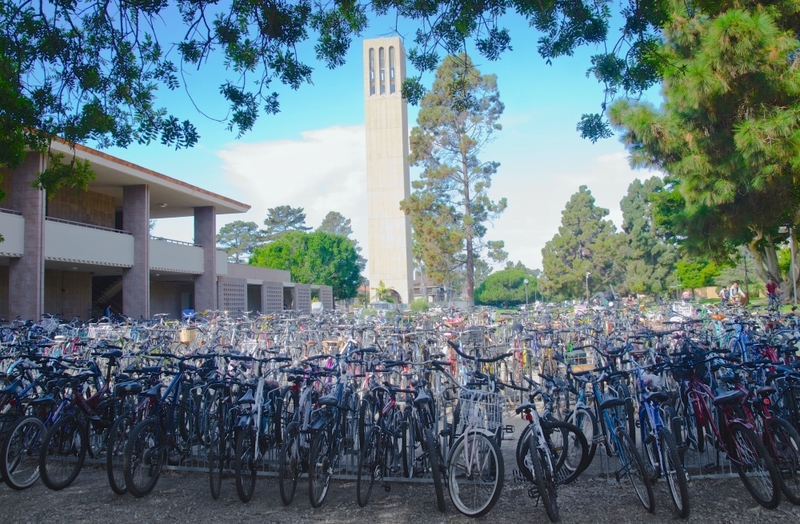 The new ranking further lauded UCSB for its high marks as both a Bike Friendly Community (silver rating) and a Bike Friendly University (gold rating) from the League of American Bicyclists, and for the breadth of its sustainability-centered academic offerings. The Bren School for Environmental Science & Management earned special mention, as did campus efforts around green building, energy efficiency, water conservation, recycling and sustainable food service. 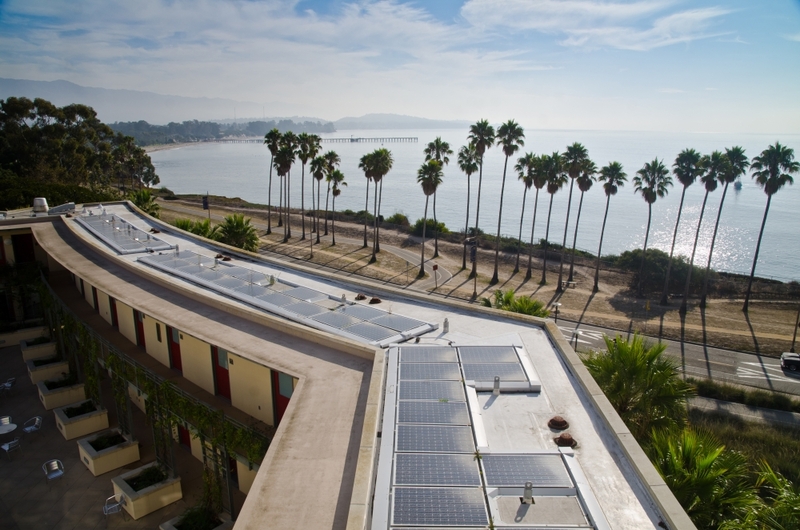 Such accolades are increasingly common for the seaside campus where the modern environmental movement is said, in part, to have launched following the 1969 oil spill off the Santa Barbara coast. That same devastating event spurred formalization of UCSB’s vibrant environmental studies program and inspired a never-ceasing drive for eco-leadership. The campus is home to the nation’s first-ever building to achieve a LEED “Double Platinum” sustainability rating, Bren Hall, and is the birthplace of the California Higher Education Sustainability Conference, which attracts some 1,000 attendees from 90 institutions to swap ideas and talk best practices. All of UCSB’s dining commons have been certified as green businesses and the campus is playing a leadership role in multiple projects of the new UC Global Food Initiative to address food justice and sustainability. UCSB’s award-winning Water Action Plan was the premier document of its kind in the University of California system and has been repeatedly heralded as a template for other campuses to follow. The campus created its first full-time sustainability position in the 1970s; by 2013, 47 percent of academic departments were offering at least one course related to sustainability, and 45 percent had at least one faculty member engaged in sustainability research.